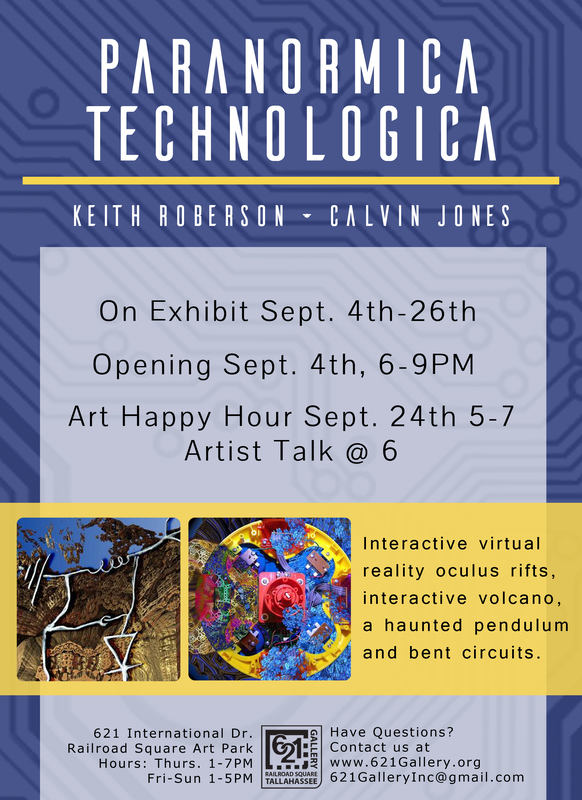 FSU Art Professor Keith Roberson and Calvin Jones’ collaborative exhibition, Paranormica Technologica, will open on the first Friday of September at the 621 Gallery in RailRoad Square, Tallahassee, FL. 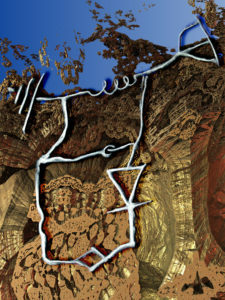 Artist talks and demonstrations will take place on Thursday, Sept.24th. You unlock this door with the key of imagination. Beyond it is another dimension – a dimension of sound, a dimension of sight, a dimension of mind. You’re moving into a land of both shadow and substance, of things and ideas. This bizarre spectacle features several never-before-seen experimental artworks exploring the boundaries of the paranormal and the technological. Experience spooky alternate realities through technologies like Oculus Rift and Spirit Radios. 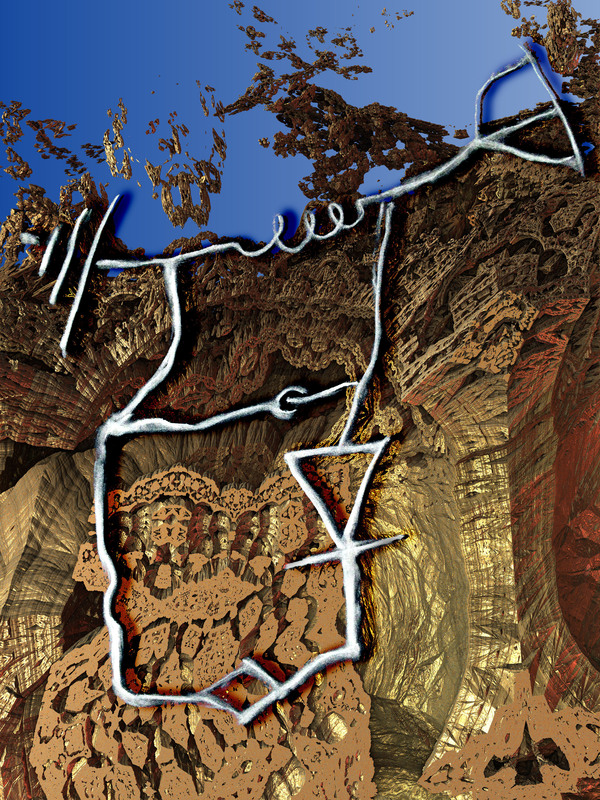 Control an erupting spirit volcano, travel through fractal landscapes and contact entities from the beyond. Be astounded by the haunted Foucault pendulum, beastial spectres, and the gibbering, possessed toys from other dimensions. You’ve just crossed over into, Paranormica Technologica. This exhibition will take place at the 621 Gallery, Tallahassee, FL on the 1st Friday of September, 2015.